If the heat in your apartment isn't working properly during a cold spell, you may feel tempted to raise the temperature any way you can. But before you get creative, take a moment to become aware of the dangers of some alternative heating options. Think twice before you pursue any of the following risky options for heating your apartment. Not only might these options prove ineffective, but they could also cause significant harm to you and your home. Say your heat isn't working well but you have no problem running your water very hot. It might lead you to consider running your shower at the hottest setting while leaving your bathroom door open, with the goal of having the hot bathroom air circulate through your apartment. But running your shower on the hottest setting with the bathroom door open will heat up your bathroom and probably the area just outside your bathroom only. Because the source of the heat is limited to the water coming from the shower faucet, this option won't adequately heat the rest of your apartment in the way that you would like. Water can leave mildew stains on the walls or grow into a mold problem after settling in porous surfaces, such as wood, so trying to heat your apartment with the shower will only result in unwanted moisture. Not to mention, it wastes a lot of water. Running a shower for a long time while not using it to bathe isn't environmentally friendly, and it will unnecessarily add to your water bill. Plus, while running the shower might heat up a room for a short period of time, it's not realistic to keep your shower running day and night. Once you turn off the shower, your apartment will return to its prior cold state in just a matter of minutes. Risk of injury: Leaving the oven door open or your stove top burners on poses a serious burn risk. Risk of CO2 poisoning: If you have a gas oven and don't use it properly, you could suffer carbon monoxide poisoning. Limited effects: Standing right near the oven, you may feel toasty. But there's no mechanism to get the hot air circulating through the rest of your apartment. Plus, spending your days and nights standing or sleeping next to an open oven is neither convenient nor safe. 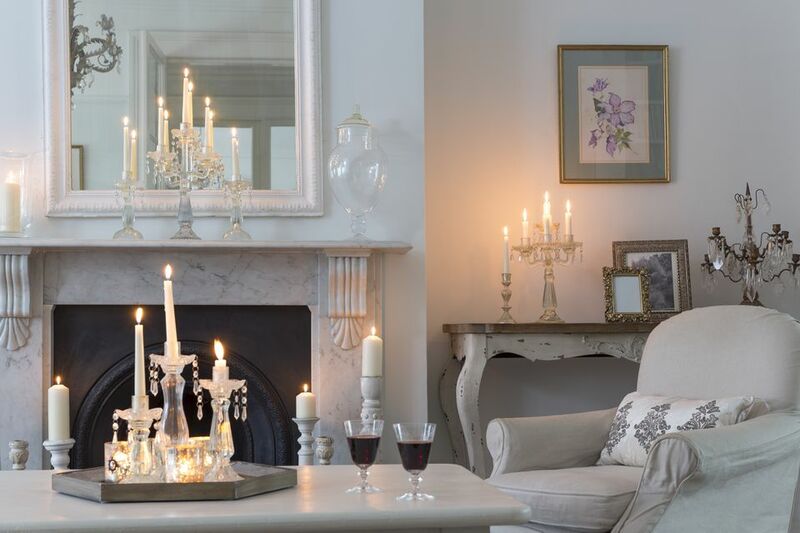 Candles can add some accent lighting along with a certain ambiance and aroma to your space. But you shouldn't rely on candles to heat your apartment. For starters, while candles do add some extra warmth to apartments, it's almost certainly not enough to do the trick if your apartment heat isn't working properly, to begin with. Candles also pose a high fire risk. Every additional candle you light increases the chances that the candles will tip over or get blown by a draft, igniting an even larger fire inside your apartment.